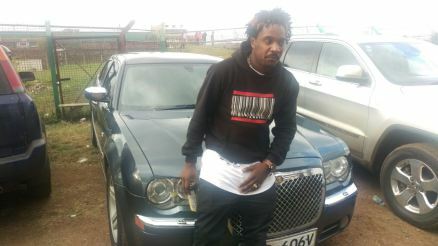 Kristoff alias Mluhya Wa Busia populary known for his monster hit Dandia featuring Rabbit-King kaka and P-Unit’s Frasha acquired a Chrysler 2008 a couple of months ago. 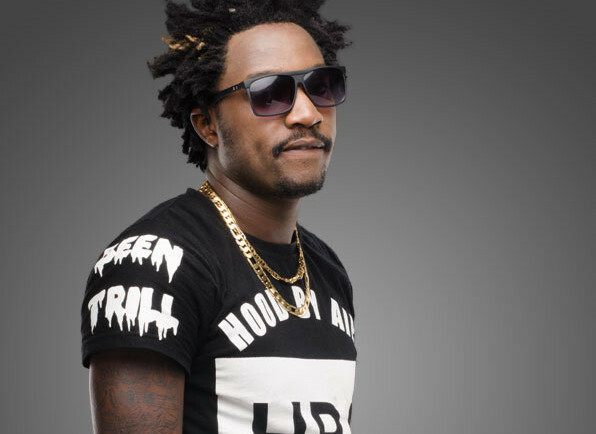 It is approximated to be worth kes. 5 million and rumor has it that he wants to sell it. 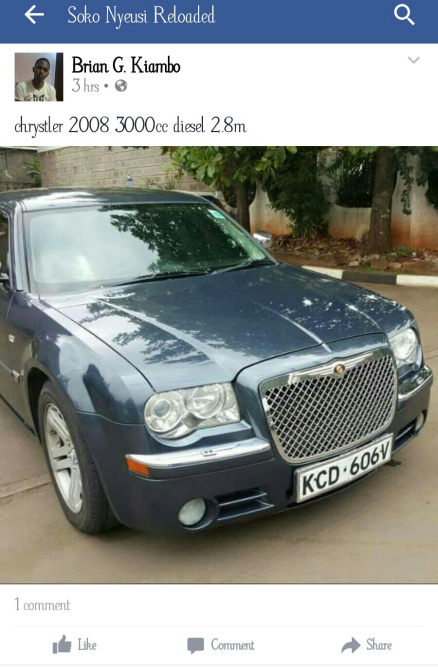 A photo of the swanky and posh car was spotted on a notorious black market facebook page, Soko Nyeusi captioned Chrysler 2008 3000cc diesel 2.8 M.
The number plates of the cars are similar and I wonder if kristoff is seriously selling a brand new guzzler at half the price he bought it or maybe the Facebook page is just pulling our legs.